We are industrial designers, interior designers, graphic designers, architects, researchers, thinkers & creators. Ideation Studio is a multi-disciplinary design firm that creates innovative solutions through analysis and creativity. We create business growth by developing brand environments, and product solutions that positively impact business performance and the customer experience. Our comprehensive design service starts with research and analysis, and includes interior architectural design, graphic design and communication, and product design. We produce cohesive design packages from big picture ideas to the smallest of details. The significance of Ideation Studio’s brand color & symbol: Orange represents energy, symbolizing fast moving and great strength of purpose. It is a color that exhibits wealth of mind and knowledge. Orange also indicates growth and new beginnings. Orange runs deep in our DNA; we enable growth and collaboration. The team culture is embodied by the cross section of an orange. It represents our team of diverse individuals coming together to form a whole multifaceted talented design group. We are “design-letes”—a cross-trained, leading edge team. Like an elite athlete who focuses on performing in the big moments, so do design’letes. We provide a rewarding workplace for those who want to strive to be the best and are willing to train and work hard to continually improve and perform at the top of their game. Jennifer established Ideation Studio Inc. in 2000. Her emphasis on the processes of conceptualization, branding, user experience, research, and strategic positioning has enabled the Ideation Studio team to provide its clients with a valuable competitive edge. 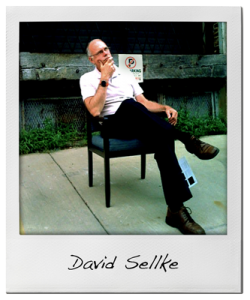 Specializing in retail planning and design for business, David has over 31 years of creating and managing projects in the areas of visual communications, retail sign systems, visual positioning, site planning, environmental design, and brand concepts. 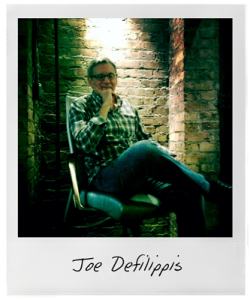 Joe Defilippis is experienced in all facets of architecture and construction. His specialty is understanding and synthesizing broad conceptual ideas, and quickly bringing them into focus to produce an efficient, economical, and aesthetic solution. 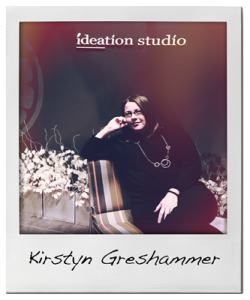 Kirstyn Greshammer is a leader within the Ideation team. Her unique skill set, thoughtful design approach, and balance of project with process helps to guide the design-letes to success. A passion for understanding drives her in personal and professional endeavors. That which exists may be transformed… What is nonexistent has boundless possibilities.